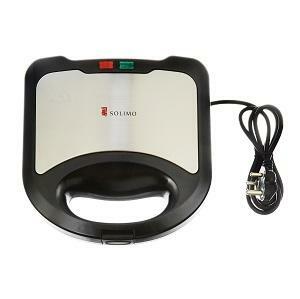 Buy Solimo Non-Stick Grill Sandwich Maker (750 watt, Silver and Black) @ 47% Discount. Taste the crunchy deliciousness of a well-grilled sandwich at home with Solimo Sandwich Maker. With double Teflon non-stick coating heating plates, Solimo Sandwich Makers are easy to use and maintain. These Sandwich Makers include an automatic thermostat control which enables indicators to signal when the product is ready for grilling. 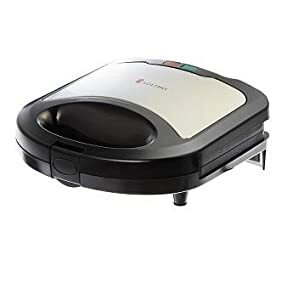 Solimo Sandwich Makers come with a longer power cord of 1.2 metres which makes it easier for you to grill sandwiches even in places where the plug-point is not very near. The Double-Teflon non-stick covering gives you scrumptiously grilled sandwiches with each use and makes post-use cleaning up an easy task. 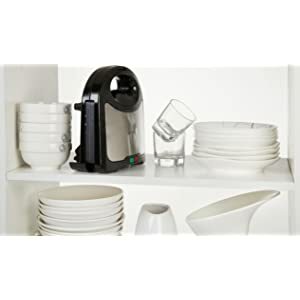 The coating also prevents rusting of the product, thereby increasing its longevity. This Sandwich Maker comes with a red indicator which lights up to indicate availability of power supply. The green indicator indicates that the device is heating up. Once the green indicator turns on, you can choose to take out your sandwich from the Sandwich Maker or grill it further. 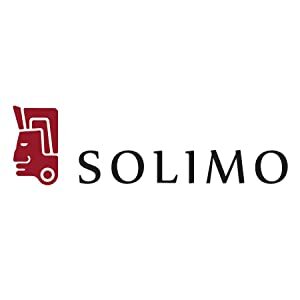 Welcome to the world of Solimo – a place where premium quality and great value go hand in hand. Every Solimo product is carefully built to deliver exceptional quality. Right from the materials used, to detailed quality checks, to thoughtful improvements, quality is at the core of everything we do. We invest our resources only on what is important to you and minimize costs on things like packaging, advertising and other extras that don’t add value. This helps us keep our costs low and create products that deliver more value for the price you pay. Expect a little more every time you buy a Solimo product.